In the twenty-first century, what could be more important than networks? Such is the power of their influence and attendant technologies that it is unsurprising that our thinking about networks is permeated with images and metaphors from electronic networks. This orientation may equally influence thinking about education, whether that is of students or teachers. Researching and Understanding Educational Networks extends the discussion of educational networks in a unique and novel way by relating it to teacher learning. Following an investigation of teacher and school networks in the UK, the authors found that theoretical perspectives taken from existing work on such networks were not adequate to provide an understanding of their potential, nor to provide the basis for researching them in ways that reflected the variety of teacher experience. how people learn at events such as conferences. 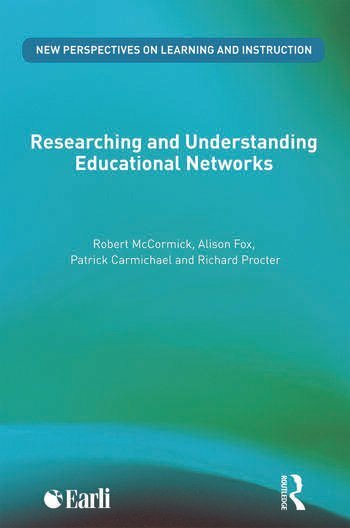 Researching and Understanding Educational Networks explores a new application of networks theories derived from quite different fields of work, and extends it both by being concerned about networks beyond organisations and specifically about educational networks. Their application to educational networks, and to teacher learning in particular, is a unique contribution of the book. This enables it to be of interest to both researchers and those studying for higher degrees, including students who are professionals working in schools. Robert McCormick is Professor of Education at the Department of Education, The Open University. Alison Fox is at the Department of Education, University of Cambridge. Patrick Carmichael is Professor of Educational Research at the Faculty of Education, Community and Leisure, Liverpool John Moores University. Richard Procter is a research student at the Institute of Education, London.